If you are asking the question do air filters really work for asthma symptoms, before you go out and spend money on the latest model learn the facts. Of course the air filter companies will tell you that an air filter is the best invention since sliced bread, the truth of the matter is that an air filter may or may not relieve your symptoms. The same will hold true for chronic bronchitis, emphysema, hay fever, and other allergy sufferers. Air filters, if they are large enough for the room can filter out smoke, which is essentially important if you live with a smoker. Secondhand smoke is a known trigger for asthma, and it also causes nasal congestion in little children. If you maintain the air filter, and turn the fan on it will do the job to at least eliminate the smoke. Okay, the air filter can absorb the smoke, but can it prevent asthma symptoms from happening? Well it probably will relieve some small allergens that are close enough to filter; however, there are still many allergens in a house that the air filter will not remove. For example, it cannot remove feces from a dust mite. You may be laying your head on a pillow, which appears perfectly clean to you, however, our friend the mite has already been there and you are breathing in the allergen all night long. You already inhaled the allergen before the air filter had time to work; Air filters usually take up to 15 minutes to remove the sources of the dust and allergens. If you have asthma and you have carpets you have a problem. Carpets are a haven for dust and allergens; they live there undisturbed in the fibers of the carpet. When you vacuum thousands of allergens are released into the air. No air filter can handle that amount of allergens at any one time. Room air cleaners will not be able to adequately remove all allergens from pets: cats, dogs, birds and hamsters. Also, you need to know that room filters are only effective if at all, in the room in which they are placed, so the minute you leave the room you are attacked full force by the allergens outside of that room. 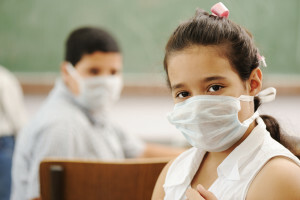 You would have to have an air filter in every single room including your bathroom and laundry room and basement in order to cut down on possible allergy attacks from different home sources. There are many types of air filters and they do not all work alike or as well. The most well known air filtration system is the HEPA filter, and this filter must be able to remove at least 90 percent of household allergens to qualify as a HEPA filter. Even the new ultra HEPA filters do not provide convincing evidence that they can remove all allergens for an asthma sufferer. Electronic air filters need to be cleared and allergens can stick to the collecting plates, they also create small amount of ozone, which irritates the airways and causes bronchospasms in asthma sufferers and nasal congestion in hay fever sufferers. Is it large enough to have an impact on the room you are going to put it in?How hard is it to clean, how much will it cost for replacement parts?How much will it cost to run the unit per year and how many units would you need to effectively control the dust and allergen in your home?How noisy is this unit, will you be able to sleep at night especially if you want it for your bedroom? Air filters will reduce secondhand smoke, but if you are the smoker, no air filter is going to help you with your asthma. If you are healthy and your house is clean and you make it as dust free as humanly possible, you may not even need to spend the additional money on an air filter at all.